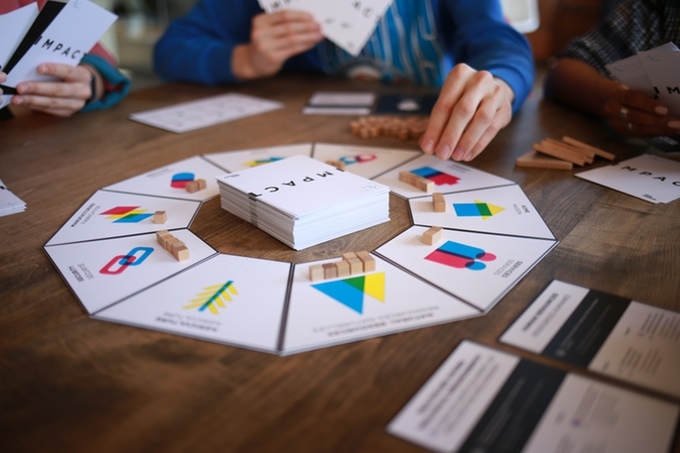 Toronto-based strategic innovation firm, Idea Couture, is crowdfunding a serious board game that teaches players how to think critically and imaginatively about the future. Our mission, in launching a crowdfunding campaign for IMPACT: A Foresight Game, is about making critical and creative futures thinking accessible to everyone. 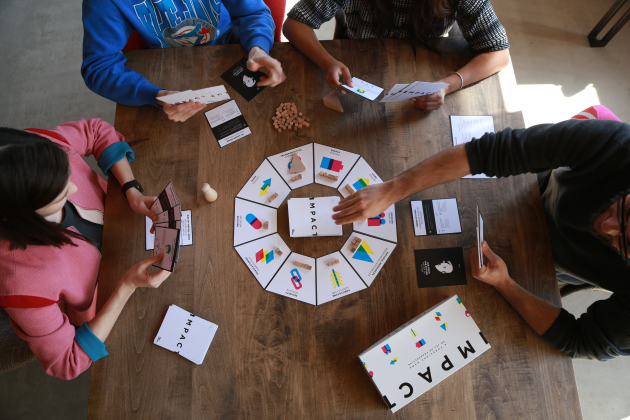 Toronto-based strategic innovation firm, Idea Couture, is crowdfunding a serious game that teaches players how to think critically and imaginatively about the future. 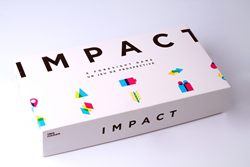 IMPACT: A Foresight Game is based on the core principles and tools of strategic foresight, a discipline for exploring and understanding change and uncertainty. In IMPACT, each player takes on the role of a character with a unique job from the future and a set of preferred future conditions that will make their job secure and prosperous. Players compete to achieve their character's preferred future world by playing Impact cards, which trigger events influencing various domains of society. The game was originally designed in collaboration with Policy Horizons Canada, an innovation lab within the Government of Canada, whose work explores how disruptive technologies may shape the economy and society. Players learn about developments in fields like nanotechnology, artificial intelligence, Internet of Things, biotechnology, and robotics; and are prompted to consider their industry, environment, and policy implications. IMPACT is currently used by public servants within the Government of Canada to introduce and teach the discipline of strategic foresight. Now, through the launch of a Kickstarter campaign, Idea Couture is on a mission to make it available to anyone who wants to get better at futures thinking. IMPACT: A Foresight Game is available for order through Kickstarter until Oct 1st, 2016.